The Materials & Manufacturing Research Group is based at the University of Glasgow and provides materials solutions for some of the most demanding applications. Even though work from our researchers spans over two decades, the group has significantly grown over the last four years and is now focusing on a wider range of materials, computational modelling and applications. We look into specific scenarios and loading conditions such as high strain rate deformations, fatigue, ultrasonic behaviour and during manufacturing processes including friction welding, annealing and many more. We work closely with the Glasgow Computational Engineering Centre to gain insight into materials and manufacturing through modelling. ​We test a range of materials under different conditions to deepen our understanding of material behaviour. 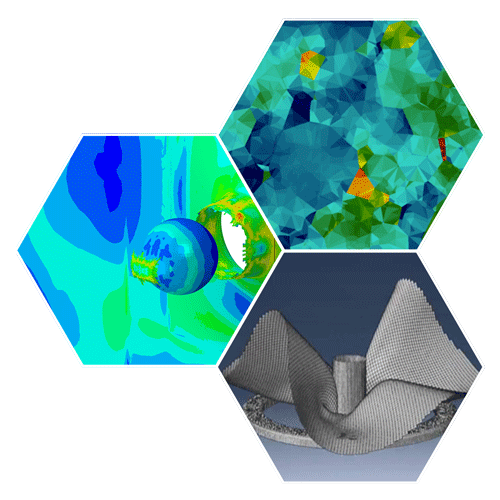 Computational analyses and prediction models are vital in addressing engineering problems. We are one of the few research groups that bridge the gap between theoretical modelling and experimental work. Our mission is to be a centre of expertise in integrated computational & experimental mechanics, and materials characterisation at the University of Glasgow. The grand challenges in materials science and engineering require a multidisciplinary and collaborative approach. The Materials & Manufacturing Research Group provides a structure to enable such collaboration. We believe that research should not only make an impact but also provide solutions to engineering challenges faced by suppliers and manufacturers in the UK. This is why we strive to maintain good partnerships with an increasing number of industries and companies. ​In a sector where materials are expected to perform close to their limits, we ensure they do so reliably. ​We assess the suitability and performance of certain alloys for advanced manufacturing methods. Engineering our way to offer materials solutions to the growing demands of the biomedical industry. - Manufacturing and properties of titanium porous structures. Supervised by Dr Peifeng Li. 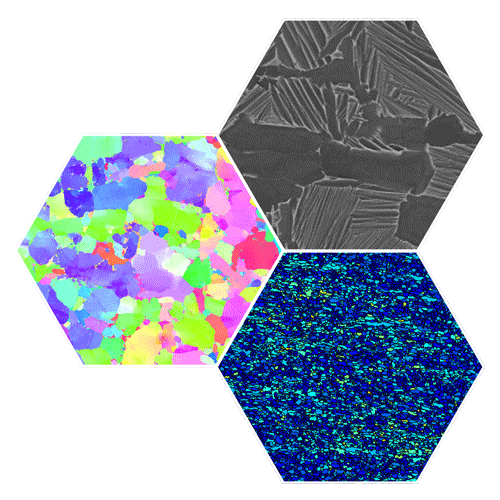 - Deformation and failure micromechanisms in additive manufactured (3D Printed) metals. Supervised by Dr Peifeng Li.